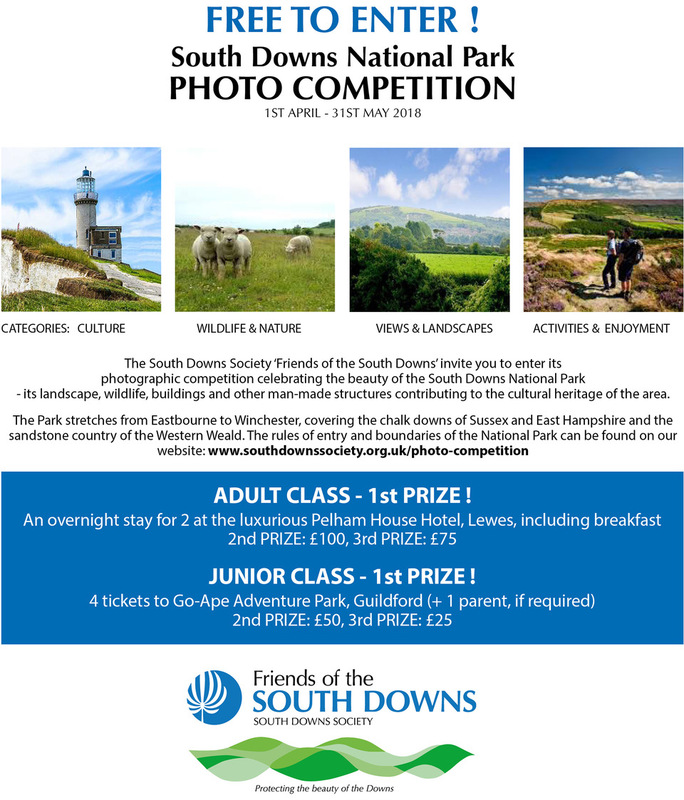 The South Downs Society ‘Friends of the South Downs’ invites you to enter its photographic competition celebrating the beauty of the South Downs National Park – its landscape, wildlife, buildings and other man-made structures contributing to the cultural heritage of the area. The Park stretches from Eastbourne to Winchester, covering the chalk downs of Sussex and East Hampshire and the sandstone country of the Western Weald. The rules of entry and the boundaries of the National Park can be found on their website. The competition is free to enter and divided into adult and junior categories with exciting prizes for the winners of each.